But there were signs before the fateful ’16 national race that the Greens were becoming a bigger force in the state: From 2010 to 2014, their share of the vote in gubernatorial races jumped from 1.3 percent to 4.7 percent. To put that 2014 figure in context, consider this: The Greens’ 184,000 votes were more than Cuomo received on the Working Families, Independence or Women’s Equality party lines. 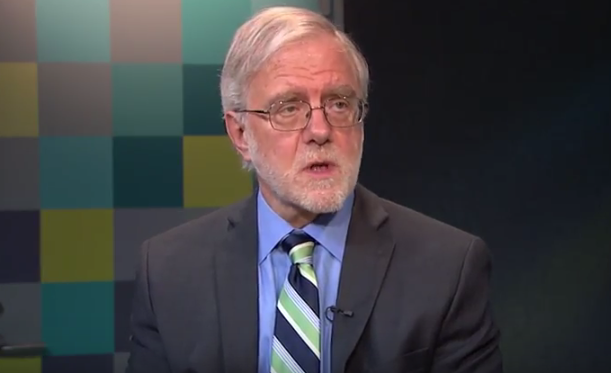 In 2018, the Greens have again decided to eschew fusion voting–where they cross-nominate someone on a major party line like the WFP, Conservatives, Independence and Women’s Equality parties usually do–and endorse their own candidate, Howie Hawkins, running for governor for the third consecutive cycle. Hawkins, a retired Teamster who packed trucks for UPS for 20 years, has sought elected office 20-some-odd times and never won. But he told 112BK on Tuesday that he can make an impact without getting the most votes. Hawkins discussed his platform, his plan for making an impact despite having only $76 in his campaign account at last report, and whether or not Democratic frontrunner Cuomo and Republican nominee Marc Molinaro are distinguishable.